This is the age of Hi Tech, within months cell phones become outdated, new technology is happening as we speak. On our very smart phones we can get updates by the minute on events far away. We are so advanced. Who needs lessons from the past? According to the ancient Jewish calendar today is the 29th day of Elul, the year is 5777. And tonight is the eve of the New Year. It is not party time, it is not for dancing and getting drunk, it is for the spirit. An ancient symbol of New Year is the ram's horn, which goes back to the days of Father Abraham. One of the highlights of the New Year prayer service is the expert blowing of this ancient instrument. Here the old is not replaced by the new. Here there is no digital sound. Here it is the old way, the true way, and the sound echos back, deep into our past. There are no shortcuts, it takes a long time to learn how to properly "play" the shofar, the ram's horn, and a rabbi is there to supervise that all the notes are played correctly. 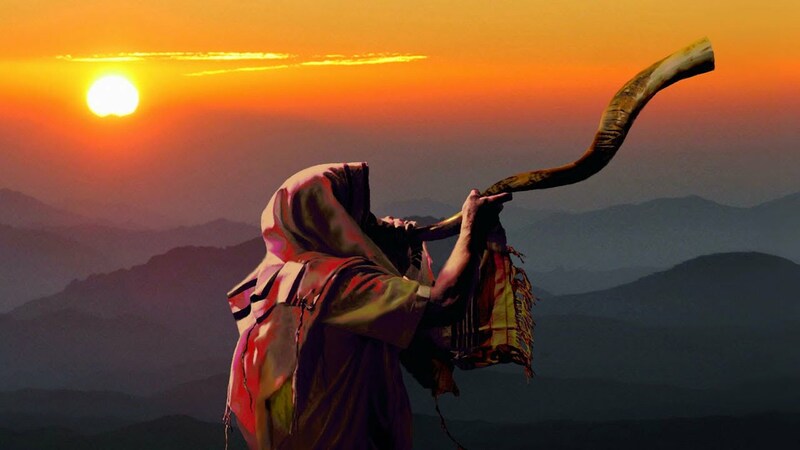 The sound of the shofar/rams' horn is designed to wake us up, physically, spiritually. Wake up from your slumber oh sleepy ones, says the prophet of Israel. Wake up before it is too late. Too many of us spend our lives asleep. Wake up, wake up to the life you might be wasting doing something that you do not find fulfilling. Wake up to the dangers that you are ignoring. Daily we hear of attacks; stabbings, people being held up at gun point, home invasions, hostage taking. And yet, Krav Maga classes all over the world are struggling to stay alive. Every creature knows the art of self preservation and yet most of us are sound asleep as our enemies are watching us. The New Year is a time of waking up, this is your wake-up call! Wake up! Hear the sound of the Shofar, hear the voice from the past, the blast from the past and stand up for yourself. Abraham was a warrior and a martial arts instructor. He was a man of the spirit and a man who knew how to fight. The ram's horn dates back to his day. Let the blast of the shofar, the ram's horn, wake us up and remind us to fight for all we hold dear. Required reading for ALL IKI Black Belt candidates and Instructors. From the first Krav Maga instructor, Abraham, to the modern system of Israeli hand to hand fighting. Biblical fighting, history and strategy.